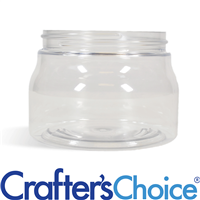 This shrink wrap band can be used on jars with a 2.6 to 3.7 inch diameter. Includes perforation for easy removal. "Diggin' these shrink wrap bands! " COMMENTS: Fits perfectly around WSP's 8oz Heavy Wall Plastic Jars, so the sugar scrubs I made have a nice touch of added protection with a professional look! They shrink up fast, and I opted to use my hair dryer with these ones, since my heat gun gets so dang hot, I worried I'd melt my product (or worse- the jar! Lol!). Even with my hair dryer though, it shrunk down quickly & flawlessly! Looks great, and now my sugar scrubs are ready to go out into the world & make someone's day! I'm loving the little perforated strip on them that allows for easy opening too! Im very happy with the size & quality of these bands & highly recommend them! "They got perfectly around my jars!" COMMENTS: These shrink bands help keep people from opening products at shows. 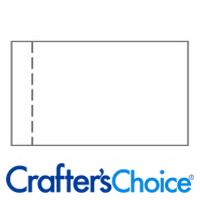 "Crafters Choice™ Shrink Wrap Bands - 155 x 55"
COMMENTS: I use these with my scrubs & Butters . Very professional.. and way to use. COMMENTS: So happy with these bands, they fit perfectly on my 16oz jars, the shrink amount is perfect to give a smooth non wrinkled fit. They are large enough to be noticed and not too bulky - they look professional and get the point across that this is a sealed product. So so so happy with these. "Perfect Size for 89mm lids"
COMMENTS: This gives you just enough extra room so that you don't have to sweet talk each band onto the jar but not so much that you get lumps. Could you ask for anything more from a shrink band? COMMENTS: I decided to try these for my bath bombs and they're great. I use them on my 70mm and 80mm bombs; I just use my sealer on the extra band and cut off the extra. I've had couple tear but for the most part, I really like them. Until I tried these, I was just using the shrink wrap bags. "good size for MP soaps"
COMMENTS: Great size for the kid soaps I make. COMMENTS: Work perfect for my lotion bar jars! COMMENTS: These shrink bands slide over the jar easily and shrink down nicely. 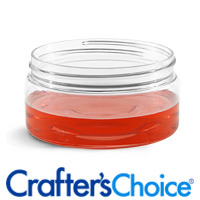 COMMENTS: I used these for my 8oz low profile jars. They're excellent. "Perfect Fit! Easy to use!" COMMENTS: Perfect solution for tampering, professional packaging and LOVE the size selection! I can find one for every product in my line here! Make my line more professional looking. 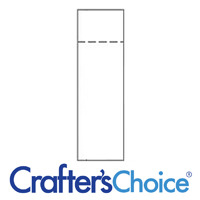 COMMENTS: These are great for adding a professional finished look on sealed product. COMMENTS: A great product. Extra security a must have. COMMENTS: These bands work great for shrinkwrapping sugar scrub jars. COMMENTS: Looks professional on my scrubs and body butters. COMMENTS: These work great to shrink wrap a belly band around my large bath bombs. High quality/durable. COMMENTS: I use the shrink wrap bands mostly for label protection (kraft brown paper). This size fits the 12 oz "short" jars that require an 89/400 lid...fits the "body" of the jar only. Protects the label great and fits perfect! Is a must-have and will be purchasing many more! COMMENTS: strong and sturdy. Heat does not put hole in these. COMMENTS: Perfect for the 8 oz jars. Easy to shrink on and stay very well. COMMENTS: As with all my shrink bands from WSP, I love the quality and price!! "Nice safety and hygenic feature for products"
COMMENTS: These bands are awesome for giving a level of protection to jarred products so that people arent tempted to sample scrubs by dipping dirty fingers into the jars! COMMENTS: I love bands on my bath bombs, the customers love them too, less packaging and they can smell the product flawlessly. COMMENTS: Works great on body scrubs and bath salt jars! Creates a nice seal. "Great way to help seal for sanitary reasons"
COMMENTS: Showing my bath salts has been difficult at times. Customers walk up and open the containers to smell them, even though I have samples out for them to smell. Sealing them with this makes the buying customer feel confident that the product has not been contaminated by other consumers. COMMENTS: I use the shrink wrap bands on my products that I sell to wholesalers. It helps with tamper control and makes me feel better about the shipment arriving without leaking oils getting on the other items. COMMENTS: I love putting this on tops of my jars of body scrubs and creams. In combo with the lid liners, it gives my customers an added sense of product purity. They are easy to use. COMMENTS: These work great for the 8 oz heavy wall low profile jars. Adds a nice professional look to products for a minimal cost. COMMENTS: These are a must have for protecting products from being tampered. COMMENTS: These are very tricky to use. It will take a while and a few ruined band to get the hand of it. COMMENTS: All of them will break if you get them too hot. But they work well for tamper resistant packaging. "need in your product line! " COMMENTS: I try and keep almost every size available at all times! You would be shocked at what you can do with these and make your products look great! If they are extra long, I use them to heat seal items I have stacked, so they stay put as a set~ I use them for everything! COMMENTS: I started using shrink wraps to deter customers from opening products. 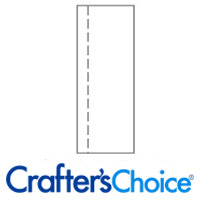 Crafters Choice shrink wraps are great quality and price. COMMENTS: So easy to use. reasonable way to protect the product. COMMENTS: I love these so much! They not only protect against contamination (by stopping people from opening the products to smell or sample/test) but they also give such a professional look to my scrubs and lotions. They're easy to use too - I just use a hairdryer on high heat. Don't hesitate to purchase them! 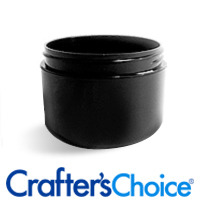 "Fit 8 oz Heavy Wall Jars Perfectly!" COMMENTS: They shrink easily and fit around the lid without covering the label area. Love these bands! COMMENTS: Adds a very professional look to products and is very easy to use. COMMENTS: These are Perfect for sealing my vanity size jars for shipping! I will keep plenty of these in stock! COMMENTS: These fit perfectly and make the shrink wrapping go very quickly. We have also gotten many comments on how professional our products look with questions as to who does our packaging. Ha! COMMENTS: These fit perfectly with the surplus jars and give my whipped body butter a professional and finished look. • perfect size for jar-no wrinkles at all! "Perfect for 8oz low jars"
COMMENTS: These bands work very well with my heat gun. You do have to be careful not to get them too hot or they'll pull apart at the perforated edge. But they are Fantastic! "Good fit for 8oz Doublewall"
COMMENTS: I use this with a 8oz Doublewall Jar, and I'd have to say, it's as snug of a fit as possible. Sweet dreams! 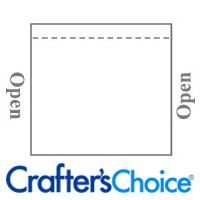 COMMENTS: Keeps customers from opening products at shows, they can refer them to the samples. It also helps with ensure products don't leak when shipped, so it provide ease of mind. COMMENTS: I don't like to use this type of plastic, but it is necessary to use on my bath salts to create a tamper-evident seal. These are really easy to use and they look nice. COMMENTS: I really like this product. Like others have stated, when used on products, it will make your product seem more sanitary, safe, and professional. Using these took a few tries (you should have seen the tossed shrink wrap bands all around my room), but once you get the hang of it, you will probably love these shrink wrap bands. • Right now, I can't think of anything. COMMENTS: A perfect fit for the matching low profile jars! Just what I needed to seal my products to make them safe for shipping! COMMENTS: Finally a way to give my products a professional end result w/no more spills! 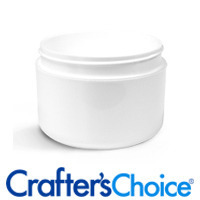 This is a must for sugar scrubs or any item that may leak when shipped or in placed a gift basket! YOU NEED THESE! "Can these be used on yhe 4oz Clear Heavy Wall Plastic Jars? 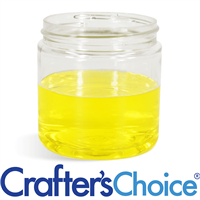 Some reviewers who have bought shrink wrap 115x55 for the 4oz jars say they use them on 8oz jars too. What is your view on this? Thanks"
Staff Answer The 115 x 55 shrink band does fit the 4 oz. heavy wall jar. This band also fits the 8 oz. basic jar which is a tall, more narrow jar. "Is this the best size for a 2.75 inch bath bomb? " Staff Answer This would be a little large for the bath bomb but is the only size we carry that would fit this. "What is the thickness/gauge of your shrink wrap band 155mm x 55 mm? Are the rest of the bands the same gauge?" "My soap bars are roughly 4 inches wide and 2 inches thick, are these bands suitable for my soap? If not, what would you recommend. I have used the shrink bags before and had horrible luck with them. Please help! Thank You, Robyn "
Staff Answer When flat, the shrink wrap band needs to be at least 160mm to fit your soap. Therefore I would recommend trying the 170x55 shrink wrap bands.